I was finishing out Sunday night in my usual panic to make the 65-ride bonus. Since I can't drive faster, this means taking Pool Rides. I didn't use to mind Uber Pool. They were nice people, deserved a break, and I could make back the loss with a full car and a lot of stops. ExpressPool has ruined all that. Take a look at my entry on Quora.com for my feelings about ExpressPool but it's made me refuse all pools as a general rule. But Sunday evening isn't normal when you still need 7 rides to make the 65-ride Quest by 4am and earn the $185 that is like getting four days pay for the work of three. At that point, I begin to take pools. Uber mixes ExpressPool and regular UberPool together so you can't tell who's who. The main problems with ExpressPool are that you pick people up where they don't want to be, give them 60 seconds to get in the car or leave them in the dust, and then drop them off three blocks from where they want to be. I know it's supposed to be "like a bus" but it isn't. You drive all over the place and often drive right past one passenger's stop to go to another and then double back. Either you act like a complete jerk or you end up going to where they are, calling to see if they're coming, and taking them home. In other words, you do all the work of a regular Pool for less money. Add to that, the feeling when a college kid boasts that they're "only paying $3 for this ride" and you realize you're only making $1.50. Honest, it's not the money as much as the insult and sore feelings. On this last Sunday at about 11 pm I had a full car of pool passengers and finally got to the last stop. Now this woman hadn't been where she was supposed to be when I picked her up so I assumed she wouldn't live anywhere near the drop-off either. I'd usually take the passenger to their home anyway–which really makes me the chump but I feel better about myself. Well, there was no indication of her eventual destination so I stopped and it all began. "Why are you stopping here? This isn't my home!" "Because this is an ExpressPool and right here is where I'm supposed to drop you off." It escalated from there. I even pulled the car around and began to head to her home but she wouldn't (or couldn't) tell me where to go. Then she started to shout at me and, I'll admit it, I flared up and said, "Don't yell at me, ma'am. Not when I'm doing you a favor!" It got a bit worse from there and I told her to get out–she didn't–and then she told me to stop and she would walk. Then I stopped a bit too fast. I thought she'd close the back-door–she didn't–and then she threw something at the car. At first, I thought it was a rock or something damaging but when I opened the door, it turned out to be her plastic soda cup. So I got out and picked up her trash, walked around the car to close the rear door, and got back in. When I was leaning down to put her cup into the waterproof trash bag I strap to the front seat, she came up and said something to the effect of "Do not mess with me" and I noticed a two-inch electric spark about 8 inches from my nose. OK, so it was some sort of Stun Gun and not a Tazer but it sounds better. Oddly, I wasn't all that worried about it. All they do is hurt and, I don't carry any money. (My personal Uber mantra). She stomped off. I drove to a quiet spot and spend quite a while emailing Uber and downloading all the audio from my cashcam. I'm upgrading to one that will record video in both front and back seat but I've only got audio at the moment. Blew the Quest cash, of course. So the moral of this story? I'm not picking up any Pools until Uber gets rid of ExpressPool. It makes you act like the worst Uber driver in the world, the passengers feel treated badly, and it just ends with everyone pissed off. It doesn't help when some little college twerp makes you feel like a chump. You gotta get on that video dashcam. That would have been a hilarious footage. I would have loved to see that. 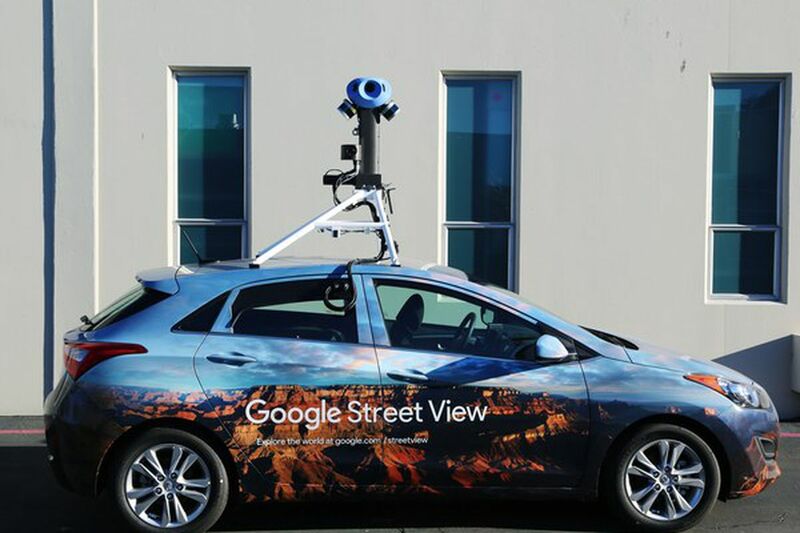 You mean like the Google StreetView cars? Did Uber ever respond to your complaint about the driver? I would assume that since she was angry, she didn't say very nice things about you either. I guess you have the evidence, so hopefully it went well for you. ExpressPool sounds nice for the passenger, but don't they realize that they have to walk a little further to get the ride? Uber was pretty transparent about that, but I guess people are ignorant and think their drivers should cater to their needs. I'd have reminded her that her terroristic threat was recorded by my dashcam in 1080p, and that I WILL turn over such evidence to both Uber and the local police. What bothers me is Ubers recent advertising propaganda that implies that riders need emergency panic buttons and the ability to (racially) profile drivers because we're obviously all criminals. What does that say about Ubers screening, and when will our safety be taken as seriously?